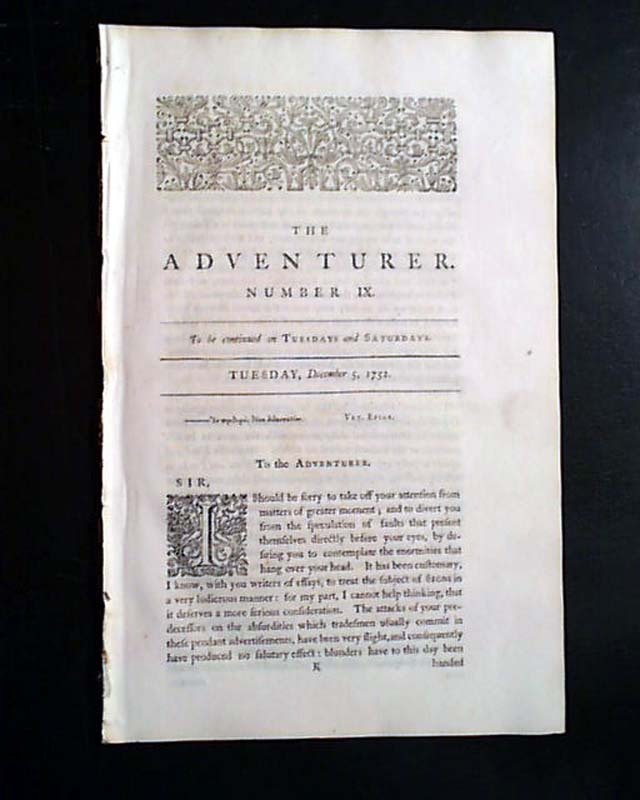 An uncommon essay-format bi-weekly newspaper addressed specifically to men, containing six pages & lasting only for 17 months from 1752 to 1753. 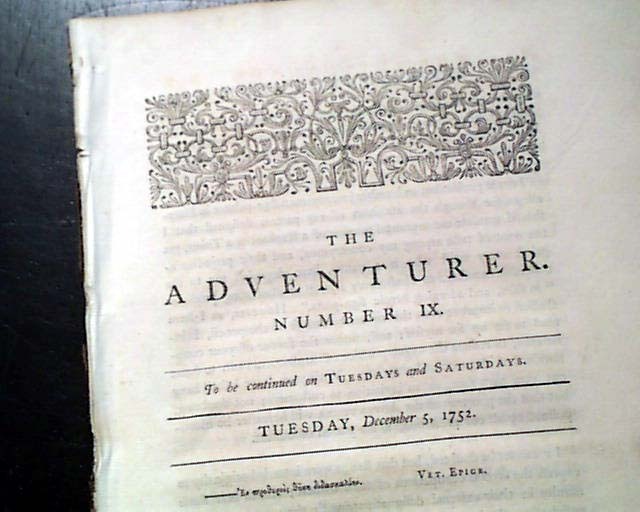 While each issue varies, common contributors included John Hawkesworth and Samuel Johnson. A decorative embellishment at the top of the front page. 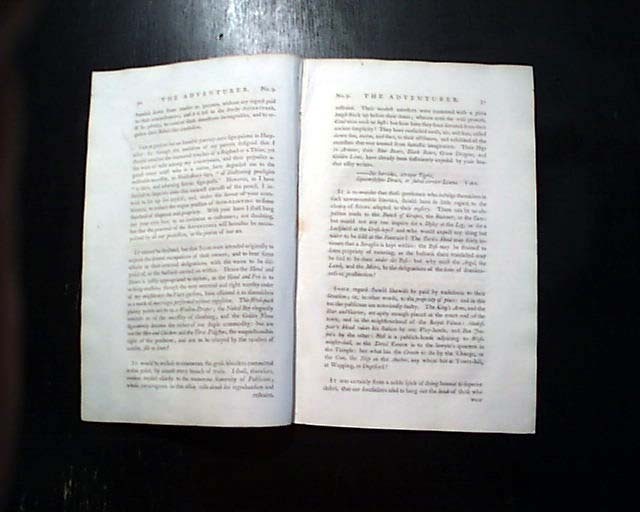 Six pages, 7 by 11 inches, very nice condition.